Visitors can enjoy primitive backpacking, camping, hiking, technical and rock climbing, picnicking, geological study, bird watching, and star gazing (minimal light pollution). Remember, at Enchanted Rock State Natural Area, do not disturb plant or animal life, geological features, or Indian or historical artifacts. These park resources are protected by law! Bring your own firewood. Rock climbers must check in at headquarters; route maps and climbing rules available. Visitors enjoy camping, backpacking, hiking, and golf. Since Inks is a constant level lake, droughts do not affect water-related activities such as lake swimming (unsupervised beach), boating, water skiing, scuba diving, and fishing. 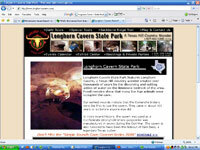 Longhorn Cavern State Park features Longhorn Cavern, a Texas Hill Country wonder created over thousands of years by the dissolving and cutting action of water on the limestone bedrock of the area. Fossil remains show that many Ice Age animals once occupied the cave. 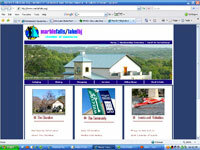 Welcome to Fredericksburg, located in the very heart of the beautiful Texas Hill Country! We’ve been blending German heritage and Texan hospitality for over 150 years, creating the kind of place that you will want to discover again and again. A romantic getaway? The site for your next family reunion? A week-long vacation destination? A stress-free corporate meeting site? Fredericksburg is just what you have been looking for. High in the spectacular Texas Hill Country, at the point where the Colorado and Llano rivers join to form beautiful Lake LBJ, there is the comfortable, quite and friendly community of Kingsland. The area in which Kingsland is situated is one of the most naturally beautiful areas of Texas. No..this is not Heaven..this is the Texas Hill Country. Welcome to one of the best kept secrets in the entire USA....Lake Buchanan & Inks Lake in central Texas. Marble Falls has beautiful city parks and an outdoor amphitheater that is a perfect setting for community events. You can reserve the public pavilion in Lakeside Park for business and recreational gatherings. Marble Falls has two boat launch ramps, a tennis complex, a city pool, children’s playscapes, and has parks available for softball, soccer and little league games. There are two RV campgrounds nearby, and area marine facilities offer rentals, sales and service. There are dozens of LCRA and state parks along the waterways, along with unique jewels that feature everything from caverns to delicate ecosystems. 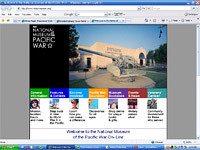 This museum is dedicated to perpetuating the memory of the Pacific Theater of WWII in order that the sacrifices of those who contributed to our victory may never be forgotten. One of the most respected leaders of the Pacific campaign of World War II was Chester Nimitz, who was born in Fredericksburg, Texas. Located in the historic Nimitz Hotel on Main Street in downtown Fredericksburg, the Admiral Nimitz Museum is the natural link to the National Museum of the Pacific War.